The desktop version of 7TV. You can see the current channel brands listed along the bottom of the screen. 7TV, the broadcaster-friendly German streaming platform that wants to gather multiple channel owners and digital-first services under one OTT roof, is going to add the maxdome SVOD service and Eurosport player to its aggregated offering. The new additions will appear in the first half of next year. Maxdome is owned by ProSiebenSat.1 Group, one of the co-owners of 7TV, and Eurosport is part of Discovery, the other co-owner. So, although this does not demonstrate a broadening of support for 7TV, it does emphasise the commitment these two companies have to the project, and it makes 7TV a more attractive destination for consumers, while also increasing their chances of keeping viewers in the service for longer. ProSiebenSat.1 television channels found on 7TV are ProSieben, SAT.1, kabel eins, sixx, ProSieben MAXX, SAT.1 Gold and kabel eins Doku. Discovery has its free-to-air channels DMAX and TLC onboard. The first non-shareholder content owners to join the platform were Axel Springer with its WELT and N24 Doku channels and SPORT1 from the privately-owned, Munich-based media company SPORT1. The Axel Springer and SPORT1 content will go live soon. There has been a very modest partnership with Eurosport so far, with a Eurosport zone showing highlights and clips. The 7TV platform showed the FC Köln vs Borussia Dortmund Bundesliga football game in February, for which Eurosport owned the exclusive rights (it was broadcast free, with advertising.) Now consumers will have access, via 7TV, to the Eurosport 1 HD and Eurosport 2 HD Xtra channels, as well as the Eurosport Player service. As we reported previously, 7TV is open about its desire to build a rival to Netflix and Amazon Prime. The aim is to provide a home for German viewers looking for quality content and for European studios who want to reach a broad demographic in a multi-thematic offering without selling rights to the international OTT giants. “This will be a pioneering OTT platform in Germany offering the full entertainment package of live streams, an extensive media library with great local content and the best from Hollywood as well as high-quality sports content,” 7TV said when announcing the maxdome and Eurosport Player additions. 7TV is developing a hybrid business model, featuring a wide offering of free content, what it says is an attractively priced advertising free tier, plus premium pay tiers with access to exclusive sports and movies. 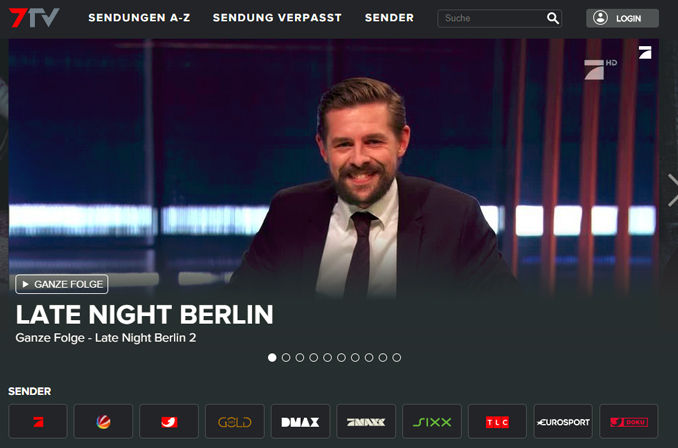 ProSiebenSat.1 and Discovery say they want to create bespoke content for the platform and are ready to invest what is needed to scale it rapidly. That commitment begins with a dedicated team of more than 200 professionals who will be in place by the first half of 2019. Founded in 2006, maxdome is one of the biggest online VOD services in Germany and has one of the largest content catalogues, with over 50,000 titles. The platform offers a wide variety of feature films, series, comedy shows, sports, music and cartoons – with exclusive titles and series such as the latest season of ‘Grey’s Anatomy’, ‘Star Trek – Into Darkness’ and ‘Mission: Impossible – Rouge Nation’. Eurosport Player is a leading direct-to-consumer digital streaming service and offers access to all the sports on the Eurosport channels, including the Olympics, tennis grand slams and all major cycling events, along with other major sporting events. 7TV fans will also be able to access Eurosport 1 HD and also Eurosport 2 HD Xtra, the new channel that is now showing 45 exclusive Bundesliga games live. The executive team for the 7TV joint venture is in place and is led by Alexandar Vassilev, the former Google and YouTube executive. Max Conze (ProSiebenSat.1 CEO) will head the board of the joint venture. Jean Briac Perrette, President and CEO of Discovery Networks International, will represent Discovery on the board. 7TV is an example of a new breed of aggregator, where multiple traditional broadcast groups gather under one online roof. There are reports (like this, from The Times) that the BBC, ITV and Channel 4 in the UK are talking about their own unified player service. 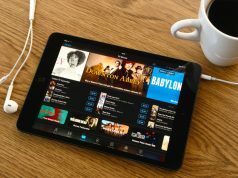 In each case, the aim is to create the scale and unified experience (within one app) to rival the international SVOD giants like Netflix and Amazon. The agreement to include maxdome and Eurosport Player within 7TV is subject to approval from the respective authorities but they already gave the green light to the initial ProSiebensat.1/Discovery joint venture without any fuss. When established broadcast groups pursued this ‘under-one-roof’ strategy in the early days of OTT, regulators blocked it as a threat to what was then nascent disruptive competition. Today it would be hard to argue that streamers need protection. In fact, there is a strong – though incorrect – narrative that traditional broadcasters are doomed by the rise of the international streaming powerhouses. The bigger barrier to a combined broadcaster streaming service in Germany could be competition between the media groups themselves. 7TV has said it is an open platform, hopeful that more companies will joint it, and its corporate structure makes it easy to accommodate new shareholders. But Mediengruppe RTL Deutschland (another major commercial broadcaster in Germany, and part of the RTL Group) has previously said it will not join this platform, preferring to focus on its own streaming offer, TV NOW. Interested in 7TV, the concept of multi-broadcaster streaming services and the future of online curation and aggregation? 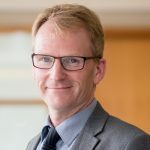 Then check out Videoscape Europe, the thought-leadership event for the European streaming market (encompassing broadcaster streaming, direct-to-consumer, born-digital VOD, native online aggregators and Pay Lite). ProSiebensat.1 Media and 7TV are speaking on a panel about ‘The power of streaming, and the implications for ‘legacy’ services’. Discovery Networks International will be discussing the evolving distribution market and new digital products. Sky is explaining its multi-faceted streaming strategy. There are sessions dedicated to direct-to-consumer streaming and how to make money from OTT. Other companies speaking include Formula 1, Marquee, Viacom International Networks and DAZN. 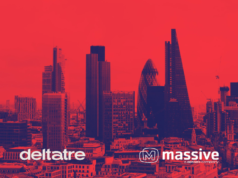 This conference is produced by Mediatel Events, the company that delivers Connected TV World Summit, Future TV Advertising Forum and The Future of Brands, and is in London in October. Full details are here.